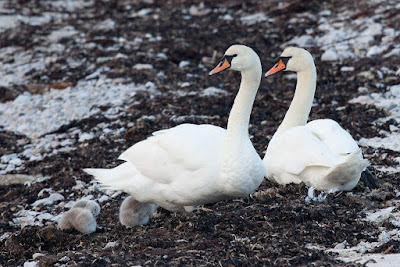 Swanning about and an invasion of privacy in the Sound of Islay. 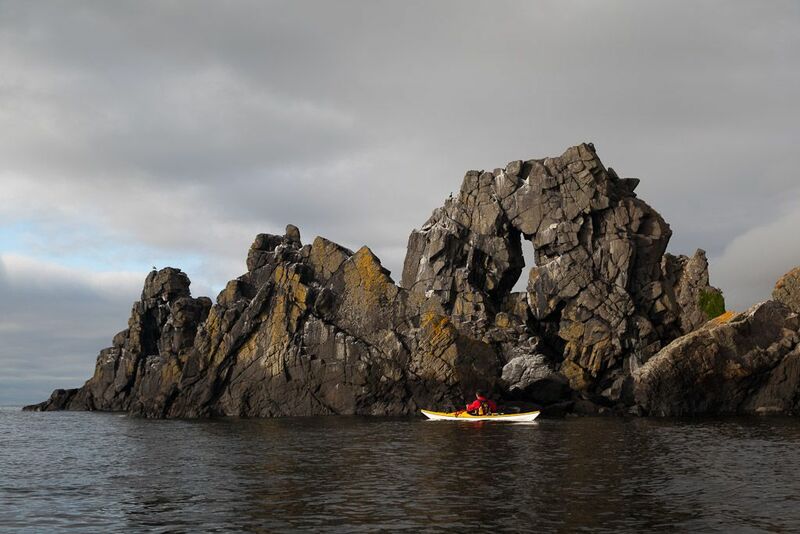 There are very many opportunities to wild camp on the Jura shore of the Sound of Islay. 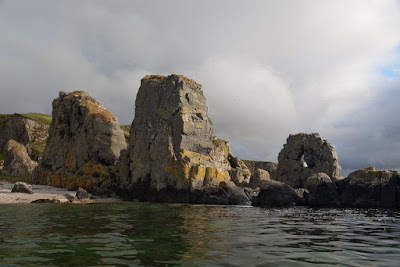 Basalt dykes at right angles to the shore create innumerable secluded coves. Unfortunately one of the prime sites was already occupied, so not wanting to invade any one's privacy, we turned back a little way. 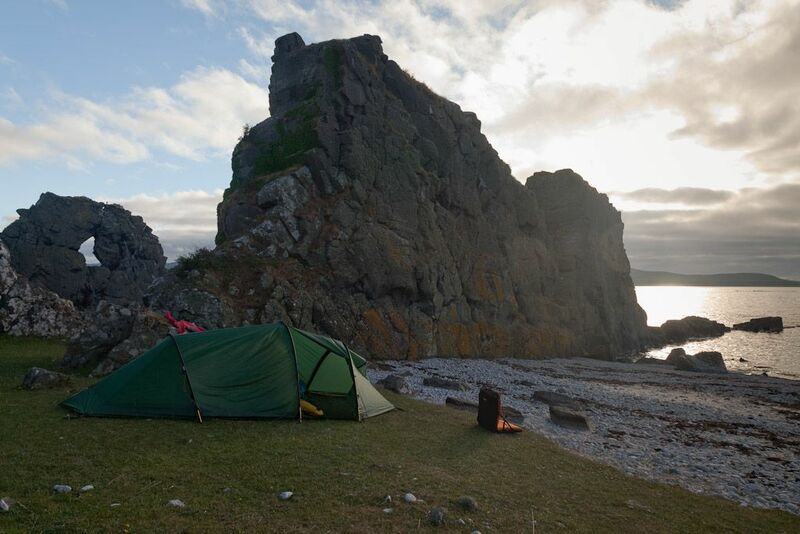 ...and the close cropped grass looked sort of level enough to put the tents up. All in all, we felt rather put out and inconvenienced not to have been able to camp on our first choice of site. 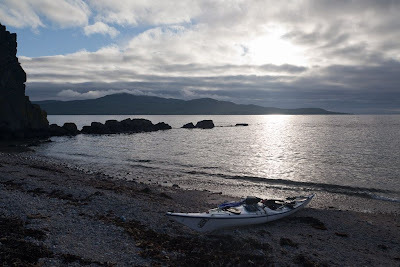 Then to rub salt in our wounds, the occupants of our first choice of site upped camp, then arrived en famille, only to settle down for the night right next to us!